The range of tests incorporated in this highly versatile instrument means that most workplaces appliances can be tested using long life battery power. 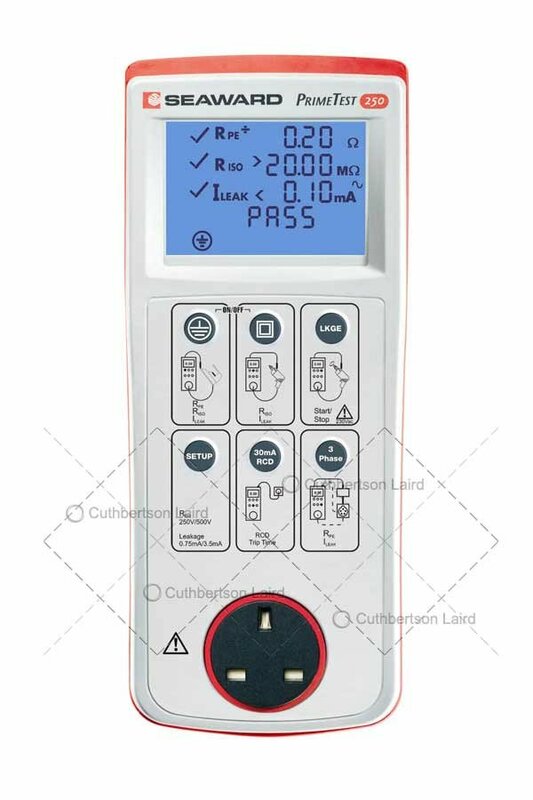 The Primetest 250 is designed for ease of use and carries out all electrical safety tests against pre-set limits with measured test result values and clear PASS/FAIL indication on a large display. The hand-held Primetest 250 provides all the electrical tests required for compliance with the IEE Code of Practice for the In-Service Inspection and Testing of Electrical Equipment. NB. For 3 phase and RCD testing, accessories are required. Clear PASS / FAIL indication. 250V or 500V Insulation Test. Protective Conductor / Touch Current (using 240V supply). Tests IEC leads including polarity check. 3-Phase Equipment testing (using optional adaptor). Dimensions: 10 x 25 x 12.5 cm (L x W x H). Seaward PrimeTest 250 Warranty: 1 year. 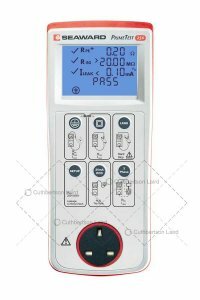 Seaward PrimeTest 250 PAT Tester, soft carry case, earth bond test lead, 6 x AA batteries, mains lead, 240v IEC test lead and Primetest250 User manual.